Cranberry Bliss Sheet Cake is an easy to make vanilla cake with fresh and dried cranberries, orange zest, white chocolate chips topped with a white chocolate drizzle. A fun spin on the popular seasonal “Cranberry Bliss Bars” from Starbucks! When I used to commute to work into the city, there was a good 15 minute walk from the train station to my office. Every day, I think I would have to pass by at least 5-6 Starbucks and each one of them had what seemed like a never-ending line of customers waiting for their morning cup of Joe. I am not much of a coffee drinker but I did like to check out their seasonal drinks and treats every now and then. The Peppermint Lattes and Cranberry Bliss Bars were among a few of the things I loved to order. Lately, I’ve been trying to throw those same flavors into just about everything and this Cranberry Bliss Sheet Cake was one of them. Instead of just dried cranberries like the Starbuck’s version, I also added fresh cranberries and an extra dose of white chocolate chips along with the familiar orange zest and white chocolate drizzle. 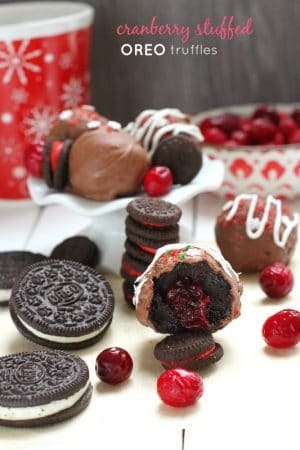 It comes together easily without needing a heavy layer of frosting and makes a no-fuss dessert that you can bring along to your next event or gathering. 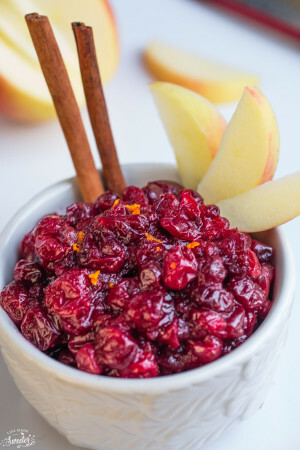 The elegant white chocolate drizzle paired with the bright and festive cranberries would make any holiday table shine. 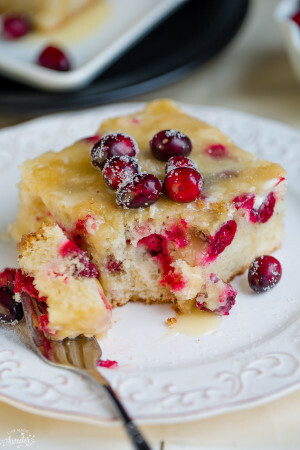 Cranberry Bliss Sheet Cake is an easy to make vanilla cake with fresh and dried cranberries, orange zest, white chocolate chips topped with a white chocolate drizzle. 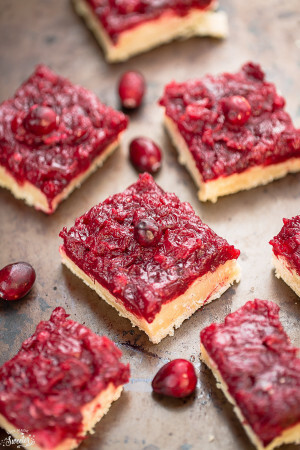 A fun spin on the popular seasonal "Cranberry Bliss Bars" from Starbucks! Preheat oven to 350 F degrees. Line a 9x13 cake pan with parchment paper and lightly spray with cooking spray. Set aside. In a stand mixer or a hand mixer on medium, cream butter and sugar until pale and fluffy, about 5 minutes. Beat in vanilla, orange zest and eggs, one at a time, mixing well after each addition. Turn mixer speed to low and slowly add flour mixture in three batches, alternating with two batches of buttermilk until just combined, scraping down the bowl as needed. Fold in fresh and dried cranberries, and white chocolate chips. Pour batter into prepared pan and bake for 35-45 minutes, or until a tooth pick inserted near the center of the cake comes out clean. Let cool completely and cut into slices. Meanwhile, make the white chocolate frosting: In a medium bowl, beat cream cheese and white chocolate until smooth and combined. Add vanilla extract and slowly beat in powdered sugar until incorporated. Add milk as needed to reach desired consistency. Add more milk if too thick and a little bit more powdered sugar if too thin. Place frosting into a zip-top bag and cut out a small corner. 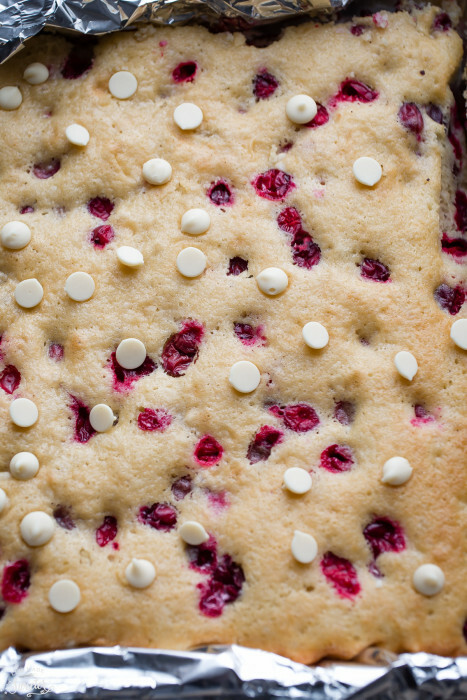 Drizzle onto cooled cake bars and sprinkle additional dried cranberries, if desired.